There’s nothing like a cool treat on a hot Texas day. Sweetened to perfection, these delicious sweet dishes can be enjoyed in a freshly made waffle cone, with sprinkles, drizzled in hot fudge sauce, mixed with your favorite fruit or served atop a spectacular treat. However you like your ice cream, you’ll find it in Grapevine. Here’s the scoop on just a few delicious frozen shops and stops not to be missed in Grapevine. Andy’s offers the finest frozen custards, sundaes, concretes and more plus a plethora of topping choices. This family run business has been whipping up custard since the 1930s. Your taste buds will be pleased to know that everything is made to order and custard is always served within one hour of being made, ensuring peak freshness and flavor. Bob’s, a well-known steakhouse in Texas, is also renowned for its dessert offerings. Ice cream enthusiasts can choose between French Silk Vanilla, Triple Chocolate or Peanut Butter Cup ice cream. Don’t stop there, Bob’s Brownie Sundae features a peanut butter and chocolate brownie piled high with triple chocolate and peanut butter cup ice cream and then topped with pecan chocolate butter nut sauce, whipped cream and a cherry. Experience the flavor of the golden era with gourmet ice cream straight from the nostalgic days of old-fashioned ice cream parlors. Your sweet tooth will be more than satisfied with creamy, rich flavors like chocolate covered cupcake, Bordeaux cherry amaretto and more. Want to know Braum’s secret? They own and operate their own farms, ranches, processing facilities and more. In addition to their Old Fashioned premium ice cream, they also offer light ice cream, sherbert, frozen yogurt and frozen snacks. Dessert you can feel good about, this all-natural, frozen dessert shop offers slushies, pops, and shaved ice on Main Street in Historic Downtown Grapevine. What started as a hobby for this husband and wife team, quickly evolved from a small freezer cart into a full time brick and mortar store. Using ingredients sourced from local farmers, they are able to offer more than 50 flavors of their cool treats. Try Jalapeno Cucumber Lime, Pineapple Cilantro or Strawberry Basil if you are feeling fruity. 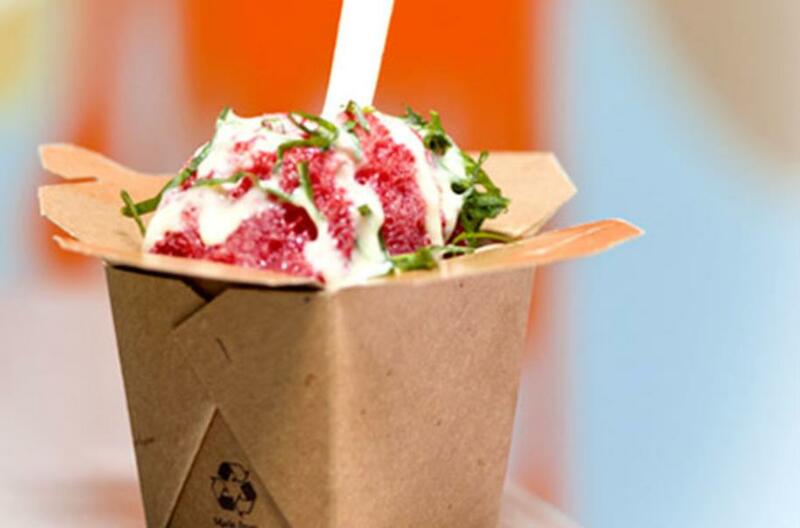 Their shaved ice also features a fun twist, a refreshingly creamy coconut drizzle on top! Located in the 1.8-million square foot Grapevine Mills, this over the counter gelato café features coffees, frappes and more than 20 flavors of gelato that are made on-site daily. Known as one of Grapevine’s highly awarded winery tasting rooms, Sloan & Williams Winery offers a unique twist on dessert. Fans of Sloan & Williams have discovered that a bit of a sweet treat is a perfect complement to a delicious glass of the winery’s wine offerings. Sloan & Williams Winery has exclusive rights to delicious wine ice cream in the flavors of Cherry Merlot, Chocolate Cabernet, Peach White Zinfandel, Red Raspberry Chardonnay, Riesling, Port, Spice, and Sparkling Strawberry. With an ABV between 5-7%, please eat responsibly. Delicious tapas are also available. If you are in a rush and craving a sweet, custom creation, stop by SONIC. They have been America’s Drive In since 1953 and for good reason. Their offerings are sure to delight starting with the most simple classic shakes, sundaes and cones to the decadent master shakes, master blasts and molten cake sundaes. Throughout Grapevine, ice cream fans will find a complete lineup of ice cream to satisfy even the most discriminating sweet tooth. From locally owned restaurants to national fast food chains, you’ll be sure to keep cool with the most flavorful selections.